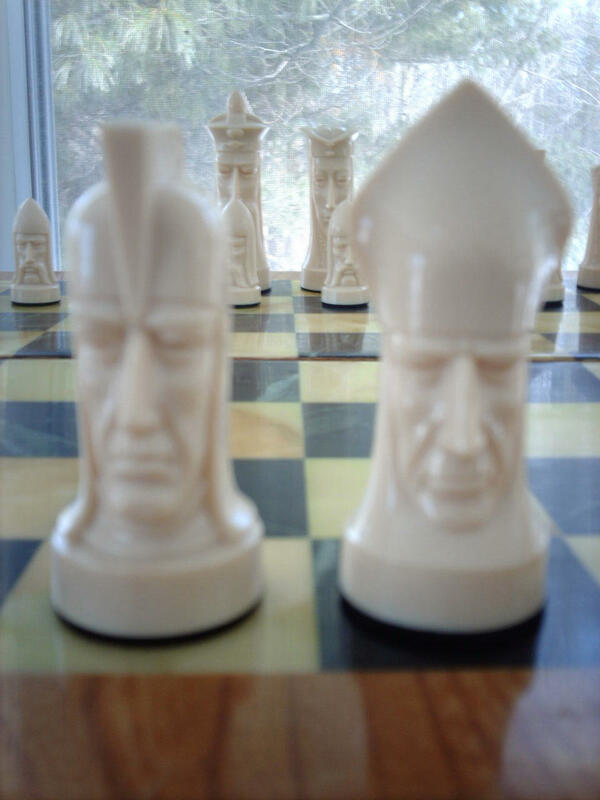 Here are various photographs I took of the Superba set of Chess pieces designed by Peter Ganine. This design is sometimes also called Gothic, though the box I have says Superba. This side view of the box shows the design being credited to Peter Ganine. He is also the designer of the pieces used in Star Trek, and some ebay sellers, including the one I bought this set from, claim that these are the pieces used in Star Trek. They are not. Star Trek used a different set by the same designer, as you can see for yourself in images I have added to the 3D Chess from Star Trek page. Here are the pieces in the case. 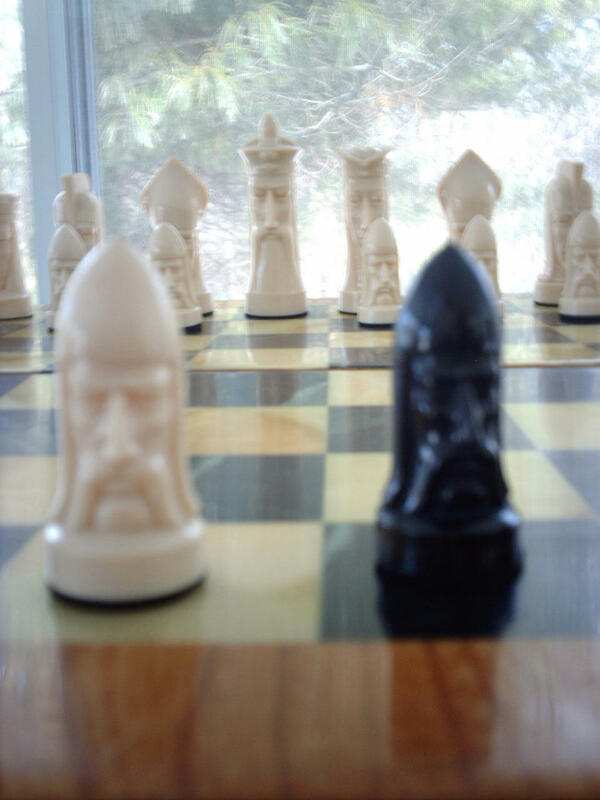 They are arranged as they would be in Chess. 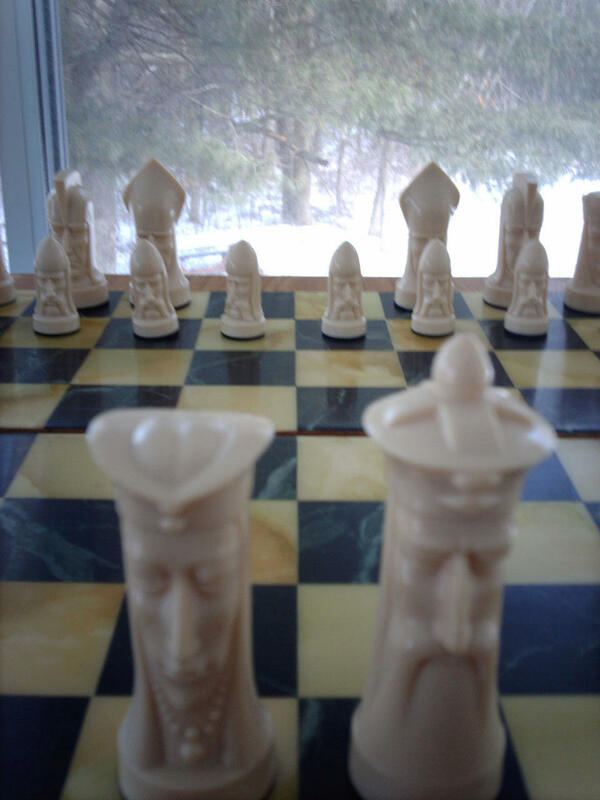 Here are some images of the pieces in the starting position of Chess, shown from different angles. Note that the board I'm using does not come with this set. It just looks nice. This image shows some of the white pieces alongside Staunton pieces for the sake of comparing size. Some Staunton pieces are white, and some are natural colored. The natural colored ones better match the color of the Superba pieces. These two images show closeups of the Queen and King. You may notice that their tops are yonic and phallic respectively. Here is a closeup of the Knight and Bishop. This closeup shows a Pawn of each color. 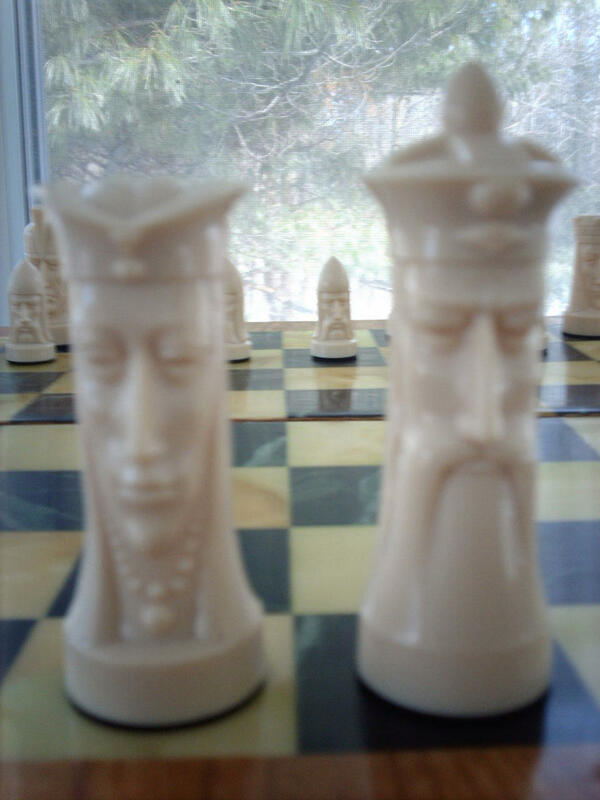 You can find this set on ebay by searching for ganine superba chess or ganine gothic chess.